Who can contribute to ResearchOnline@Avondale? What works can be contributed to ResearchOnline@Avondale? What works are excluded from ResearchOnline@Avondale? 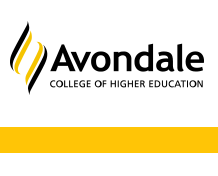 ResearchOnline@Avondale is open to all Avondale staff and post-graduate students, and researchers external to Avondale if they are co-authoring or are affiliated with the institution, or presenting papers at Avondale sponsored events. What works are included in ResearchOnline@Avondale? Any digital works that meet the author and copyright guidelines can be submitted to ResearchOnline@Avondale. The emphasis of the repository is on submissions that represent the research and educational output of Avondale and Avondale-affiliated personnel. Material that is written in languages other than English. Any author or contributor submitting a document to ResearchOnline@Avondale must either hold the copyright for the work or have the permission of the copyright holder to do so. If the work is also being published by a commercial publisher, you may have transferred your copyright to them as part of the publication process. You need to know the copyright status of your work. If you hold copyright for your submission, no further efforts are required, and you may proceed to the submission process. If you do not hold copyright, you still may be able to submit a version of your work to ResearchOnline@Avondale. Many publishers will allow placement in an institutional repository, of articles published in their journals or books as a form of "self archiving" but you should check your publisher's copyright policy to determine what is allowed and what conditions may apply. SHERPA/RoMEO and OAKList provide information by publisher and journal title as to what kind of self-archiving activity is allowed by many publishers. If after consulting these sources and/or the publisher, you are still unable to determine whether you retain the right to deposit your work in the repository, you can contact the repository administrator for assistance. Note: Where you do not hold the copyright, but the publisher allows self-archiving, you can submit the final accepted draft – after peer review and before layout adjustments by the publisher. This is not the final or 'publisher' version of the paper. Authors can preserve basic self archiving rights when negotiating copyright issues in book and journal contracts. We encourage authors to do so or otherwise protect their rights when submitting documents to a publisher. Where deposit of the full material is not possible due to copyright restrictions, a citation, abstract and descriptive information including a link to an alternative location such as to the publisher’s version of the material may be added. Avondale is committed to preserving and providing access to the contents of the repository. However, some file formats may cease to be supported as a result of changes in technology and the private sector, beyond the control of the Repository Administrator. In addition, Avondale may determine that our current Institutional Repository platform no longer best meets the needs of the Avondale community. Should this be the case, and where possible, all content will be migrated to the new platform, and every effort will be made to ensure that all content will continue to be accessible. Retention of Works: The repository aims to be a permanent scholarly record and once a work is deposited anywhere in the repository a citation to the work will always remain. Updated versions of content may be posted, and can be linked to the first posted version. Earlier versions may be removed, but we encourage authors to maintain these versions in the repository, as a record of the development of any posted contents. If a contributor leaves Avondale, their work will remain in the repository. At their request, new contact information can be added to their files. Withdrawal and removal of works: Removing content is highly discouraged. However, authors may request that the Repository Administrator remove specific works. Reasons for removal may include copyright infringement, plagiarism, predatory publishers, or falsification of data. The Repository Administrator is responsible for approving and documenting all such withdrawals, in consultation with the author. Please contact the Repository Administrator at with any questions.